One must have a table. 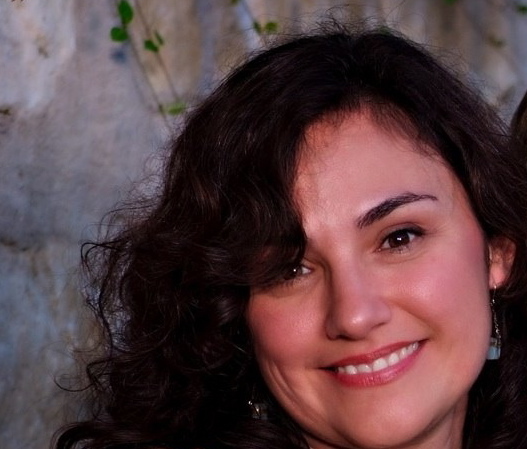 Born in Mexico City, and the mother of one, Natalia Ortegon Trevino was raised in San Antonio, Texas and is an Associate Professor of English at Northwest Vista College as well as a member of the Macondo Foundation. She is a graduate of UTSA’s graduate English program and The University of Nebraska’s MFA in Creative Writing Program. Natalia is the recipient of an Alfredo Moral de Cisneros Award, the Wendy Barker Creative Writing Award, and the 2008 Dorothy Sargent Rosenberg Poetry Prize. Her essays, poems, and fiction appear in a variety of print and online journals. An excerpt from her novel, La Cruzada appears in the Winter 2011-12 Platte Valley Review, and most recently, her essay “Crown Our Good” appeared in the anthology, Complex Allegiances from Wising Up Press. Her first book of poems, Eight Marry Wives, is forthcoming from Pecan Grove Press.